As Netflix prepares to release a seven-part documentary May 19 about the unsolved 1969 murder of a Baltimore nun, officials of the Archdiocese of Baltimore reaffirmed that the church did not attempt to interfere in the investigation of the death of School Sister of Notre Dame Catherine Cesnik. Sister Cathy, as she was known, had been a popular teacher at Archbishop Keough High School in the 1960s. She was on a year’s leave of absence from the School Sisters of Notre Dame to teach in the Baltimore public school system when she was reported missing after she left her apartment Nov. 7, 1969, and never returned, the Catholic Review reported Jan. 9, 1970. Related to the investigation into her murder are allegations that she was aware of alleged sexual abuse by a priest at Archbishop Keough High School, where Sister Cathy had taught. That priest, Father A. Joseph Maskell, was not a suspect during the original investigation of the murder in 1969-1970. The Netflix documentary series, “The Keepers,” focuses on allegations of sexual abuse in the 1960s and ’70s at Archbishop Keough High by Maskell and of a relationship between that abuse and Sister Cathy’s death. As of press time, neither the Catholic Review nor the Archdiocese of Baltimore had been provided with an advance copy of the series, although advance copies were provided to other media outlets. Maskell, who died in 2001, was permanently removed from ministry in 1994 by Cardinal William H. Keeler. 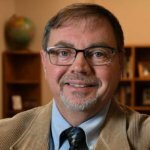 The first allegation received by the archdiocese regarding sexual abuse by Maskell was received in 1992, about 20 years after the abuse had occurred, according to Sean Caine, executive director of communications for the archdiocese. An adult survivor, who preferred not to be named, came forward to archdiocesan authorities and told them that she was in the process of recovering memories of abuse by a number of people, including Maskell. The archdiocese encouraged the victim to report the allegation to civil authorities, which she chose not to do at that time. The archdiocese reported the allegation in 1993 when the Maryland attorney general clarified that organizations were required to report any allegation of child abuse to civil authorities, even if the victim was an adult and did not want to report. In 1992, Maskell was sent for psychological evaluation and treatment. He denied the allegation, underwent months of evaluation and treatment, and was returned to ministry in 1993 after the archdiocese was unable to corroborate the allegation of sexual abuse through its own investigation and conversations with attorneys representing the individual who initially came forward, according to Caine. He said the archdiocese continued to seek information about Maskell and when additional individuals came forward in 1994 to accuse him, he was permanently prohibited from public ministry. “The archdiocese subsequently made additional reports and has cooperated with civil authorities,” Caine said. The archdiocese has no record of any report, verbal or written, by Sister Cathy. “They removed Father Maskell (from ministry) and they offered counseling to victims,” recalled Dr. Mary Kay Finan, who was a member of the archdiocesan review board at the time. 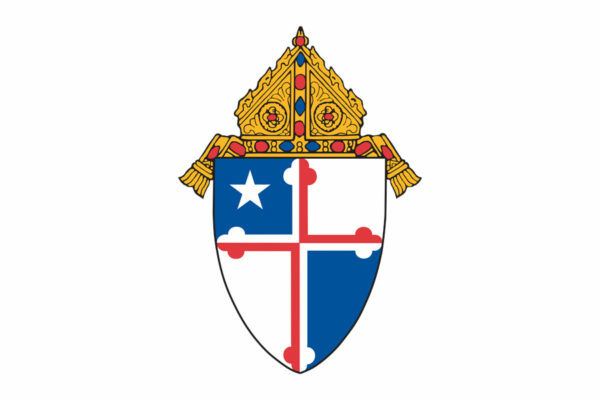 The board had been established by the archdiocese to independently review all allegations of sexual misconduct by clergy and other archdiocesan personnel and to advise the archbishop on the results of those investigations and to assist in the development of policy with respect to how to handle allegations of abuse. “The archdiocese always has and continues to cooperate with the police in their investigations,” she said. “It’s hard to be on the board and to hear the cases and to hear the abuse, and yet it is so important to do it,” said Finan, who is a professor emeritus of Frostburg State University, with a special interest in early childhood education. As early as the mid-1980s, the archdiocese was encouraging victims of sexual misconduct by anyone associated with the archdiocese to come forward and to report it to civil authorities, Caine said. Similar policies were developed in many dioceses around the country at that time, and were implemented nationwide in 2002 after the U.S. Conference of Catholic Bishops approved the Charter for Protection of Children and Young People. In September 2002, the Catholic Review published an extensive report in which Cardinal Keeler released the names and assignment history of 57 individuals “who have served in the archdiocese and, upon a review of our existing records, have been accused of child sexual abuse.” The report also noted that reports of sexual abuse had been levied after their deaths against an additional 26 priests and brothers, 14 of whom were priests of the archdiocese and 12 who were religious brothers, with some of those allegations dating back to the 1930s and ’40s. Jerri Burkhardt joined the archdiocesan Office of Child and Youth Protection in 2008 as associate director, and is now the office’s director. She noted that in addition to the offer of counseling and financial support to any victim who comes forward, the archbishop has offered to meet with any victim. One of the things Archbishop William E. Lori did in his first week in Baltimore was to meet with victims, Burkhardt said. The archbishop has met with numerous survivors of abuse, including Maskell victims, Burkhardt said. In 1994, when the first allegation that linked Maskell to Sister Cathy’s murder surfaced, the archdiocese and Metro Crime Stoppers offered a $6,000 reward leading to the arrest and conviction of her killer. “The archdiocese cooperated fully with authorities investigating her murder and continue to offer full support for efforts to solve her murder,” Caine said. He said he tries to remember that for the victim in front of him, the event is not in the past but something they are dealing with every day. Burkhardt said the archdiocese, through its child protection office, over the years has trained more than 100,000 people in safe environment procedures, including 51,000 employees and volunteers currently trained and screened via background checks. Burkhardt added that society is a little more sensitive and attuned to signs of child abuse these days – the impact of child abuse and the risk of recidivism among offenders. People are also more willing to come forward with information than they were in the 1960s. “In addition to the training of employees, volunteers and parents, the archdiocese does a significant amount of education of children. According to the bishops’ charter, children in archdiocesan schools and faith formation classes in grades kindergarten through 12 are required to be educated about safe environments. “I’ve seen children looking out for other children, or telling their parents when they see something is wrong. That’s an important part of it too, is that children know when to tell a grown up about the way they are being treated or about the way a friend is being treated. For more information about the archdiocesan response to “The Keepers,” including Frequently Asked Questions and video resources, click here.